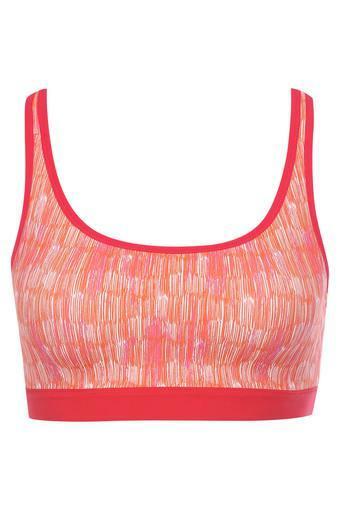 Enhance your innerwear collection by adding this sports bra which is brought to you from the popular brand, Triumph. It has been crafted with care using a premium quality fabric, hence it scores high on the comfort quotient. Besides, it is non wired which makes it all the more fetching. This sports bra will be an excellent pick for you to wear under a T-Shirt or a top. 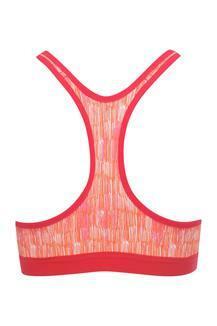 It is quite easy to maintain and comfortable to wear, owing to the use of a fine quality fabric.